Cahnman's Musings: Did Byron Cook LIE to the S.E.C in Paxton case?!? Did Byron Cook LIE to the S.E.C in Paxton case?!? "For he who sows to his flesh will of the flesh reap corruption, but he who sows to the Spirit will of the Spirit reap everlasting life. 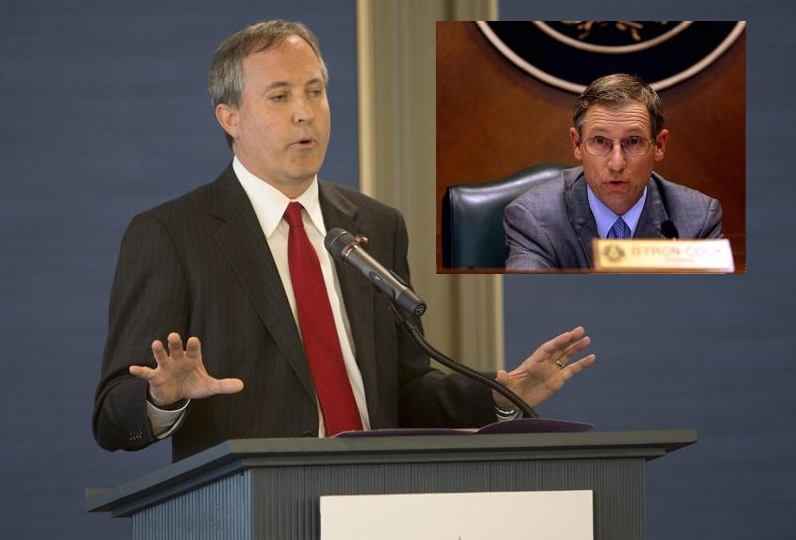 Lawyers for Attorney General Ken Paxton are zeroing in on state Rep. Byron Cook, R-Corsicana, as they make a new push to discredit the latest allegations against Paxton brought by the U.S. Securities and Exchange Commission. In a filing Wednesday, Paxton's attorneys asked a federal judge in Sherman to force the SEC to produce notes from its interviews with Cook, who is among the technology company investors Paxton is accused of duping. Paxton faces similar, criminal charges at the state level, where he is getting ready for trial. The Sherman judge, Amos Mazzant of the Eastern District of Texas, dismissed the SEC's civil case against Paxton in October, concluding the commission had not shown Paxton had a "fiduciary duty" to tell investors he was receiving a commission. But the SEC revived the case by filing amended allegations two weeks later, arguing the group of investors had "established purposes, policies, and practices" that Paxton had apparently violated. That was news to Paxton's lawyers, who say they had been told the arrangement among the investors was much less formal. According to the Wednesday filing, counsel for Cook and fellow investor Joel Hochberg had described the group as "an ad hoc arrangement where, from time to time, good friends might invest in the same transaction." The suggestion in the Wednesday filing is that Cook, in an interview after the first complaint was filed, changed his story to make the arrangement seem more formal, bolstering the "fiduciary duty" argument. Wallace Hall Gets a Date with SCOTX!!! Revelation 19:11-21 -- Jesus' SECOND COMING!!! Would School Choice reduce crime in Texas?!? Revelation 19:1-10 -- The BEST is YET TO COME!!! Schwertner leads on tuition (again)!! !